Black Friday terms and conditions! That 3rd free repair will be cheapest of all three devices. You can make the booking to avail Black Friday Deal on Friday, Saturday, and Sunday. Due to the technical limitation on the website, you cannot book three repairs at the same time. 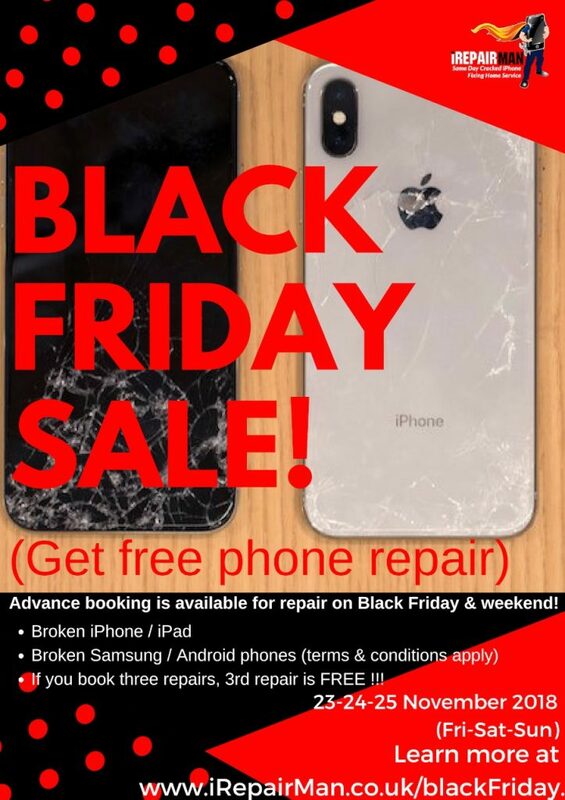 So, therefore, we request you to book three separate repairs for each device.